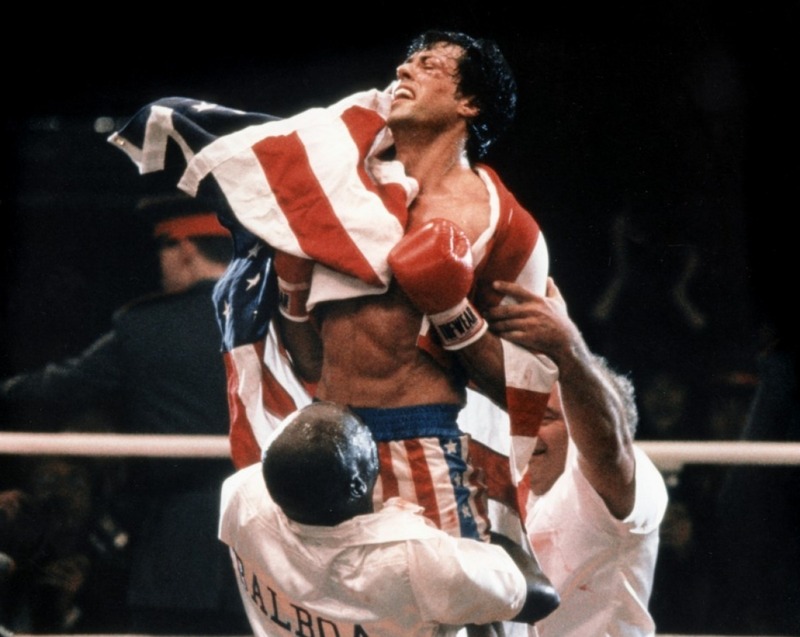 Rocky Balboa is one my favorite all-time fictional characters. Outside of the ring, he seemed to be the nicest guy in the world. But when a challenge presented itself, when someone hurt his friends or family, he would unleash hell on his opponents in the ring. He was everything a 6-year old boy could ever want to be. He was charming, in a goofy, meathead-y way. He was a good man who always did the right thing. He never backed down from a challenge and he always gave it his all. Aside from the in-ring action and awesomely-80’s soundtrack, there was so much more to Rocky; there was subtext the plot of each movie that was missed by those only looking for a stereotypical 80’s action flick. To Sylvester Stallone, this movie, the original from 1976, wasn’t supposed to be a mindless popcorn movie. Nor was that how it was received, being nominated for and winning the Academy Award for Best Picture in 1977. Stallone went through hell trying to get the original Rocky made, while being dead broke, living in New York City. He lived in squalor and worked odd jobs during the day, trying to make ends meet, and writing the script at night. He got turned down by dozens of movie studios. They thought the script was good but wanted a bankable actor in the starring role. Stallone knew that this was the part he was born to play, and he turned down every offer that didn’t’ let him play the main character. Things got so bad for him, that he eventually had to sell his dog, Butkus, for $40 outside of a 7/11. Eventually, the script sold, he bought his dog back for $15,000, and they both went on to star in the first movie. That first movie screened in theaters in December of 1976. 40 years later, Rocky Balboa is a piece of Americana. The original movie and its subsequent sequels have been seen by just about everyone. And if you haven’t seen them, then you’ve at least heard about Rocky Balboa. The movies have grossed over 1 billion dollars, entertaining millions of fans for four decades and changing the life of a struggling writer/actor from New York City. The cultural impact of the Balboa character is not lost on Stallone. In previous installments, the lessons were part of the subtext. Starting with Balboa, however, he’s been making sure that the advice he wanted the audience to walk away with is front and center. Stallone knows he isn’t going to be around forever and I think he’s been doing this because he wants to make sure that he can pass on the lessons he’s learned living on this planet for over 70 years and achieving a level of success he never dreamed of. He’s seen it all and he’s done it all. And he wants to leave behind a legacy that’s greater than just entertaining people. With that said, here are the most important things I learned from watching the Rocky movies. I did a longer post, taking an in-depth look at each movie, but this post is a TL;DR version. 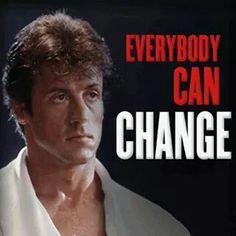 Below is what I feel are the most important ideas that can be taken from each movie, followed by a workout inspired by Rocky’s training montages. Life isn’t always going to give you a happy ending. It’s not always fair. Sometimes you give it your all and you still lose. There’s no shame in that. Even if you meet your goal, the worst case scenario is that you walk away better than you started. That’s what matters. And you can always try again. As time goes on, life imposes greater and greater demands on our time. Responsibilities at work continue to expand and relationships take up more time. But if you have a goal you want to accomplish or something left inside yourself to share with the world, it’s only going to get harder as times goes on. By not pursuing and achieving those things, you’re being unfair to yourself. By letting your goals take over your life, you’re being unfair to everyone else in your life. In the end, learning how to balance the pursuit of goals, responsibilities, relationships, and self-care is the only way to maintain the fruits of our hard work. Regardless if you’re new to training or have been doing it for a few years, you know that motivation comes and goes. There are people who work out sporadically, like whenever the summer draws near or they feel that their clothes don’t fit as well as they used to. Then there are the people who train regularly and do so for years. With every goal, we each have to identify the “why;” we have to know exactly why achieving that goal matters. The goal itself is usually never the reason. The goal itself isn’t why we want to accomplish the goal. What really matters is how we think accomplishing that goal will make us feel, and where those feelings come from. It’s usually deeper than that and requires a bit of self-reflection. That’s the fuel that’s going to keep you going on those cold and dark winter morning. That’s what’s going to keep you going on those beautiful summer days when you’d rather be at bar-b-que then at the gym or grinding on your passion projects. If you don’t know your real “why” you’ll always find an excuse to put off the things you want to do. In this movie, the “eye of the tiger” is mentioned for the first time. Think of a tiger focused on its prey and you get an instant mental picture of what means to a boxer; it’s extreme focus on the task at hand. It may take some time to find your “why,” but once you know it, you’ll be that much closer to achieving your goals. But if you forget it, it’s only a matter of time before you lose the things you’ve worked so hard for. Have you always been overweight, afraid to take your shirt off at the beach? Have you always been the “skinny” person who can never find clothes that fit, because the clothes either reveal just how “skinny” you are or they’re too baggy and ill-fitting? If you continue to identify with a state of being, it can become an immutable part of your identity. A reason why many people find it so hard to transform their bodies is that they just don’t think that they’re capable of being something other than how they seem themselves. The Russians and the Americans of The Cold War-80’s could only see each other as enemies; they began to self-identify as opposing paradigms. Instead of being limited by the thoughts of who you are, I challenge you to think like the person you want to be. There’s no reason you can’t get off the couch right now. Would the person you want to be find themselves sitting in front of the TV while mindlessly eating chips? Would that person create excuses for skipping the gym? Would that person blame their failures on their circumstances or other people? I also believe that this the reason why some people can’t maintain the changes. They suffer cognitive dissonance between who they were and who they’ve become. Creating lasting change requires that you see yourself as the person you’ve become, not the person you were. You don’t have to continue down the road that brought you here. Yup, even the worst of Rocky movies can teach us a valuable lesson. Fear is a controllable emotion and we are the ones behind the wheel. Fear is a part of us all. It is a normal, healthy, human emotion to have. Fear is empowering. It is what challenges us to become better, to become stronger. It is what gets you to the gym, helps you burn fat, push heavier weights, decrease your sprint time, and reach new personal records. You probably know what I’m going to say. This piece of Rocky wisdom has gone viral; the most-viewed clip of this speech on YouTube has over 9 million hits. And I’m sure you’ve seen it already. But one more time won’t hurt. Sometimes life deals you a crappy hand; you’re faced with challenges you can’t escape. Sometimes you can work hard and get better cards; you can work your way out of some bad situations to create better ones. Then, there are some things that are just out of your control. You can either blame someone or something else for not having the things that you want out of life, or you can play the hand that you’ve been dealt with the best of your abilities while trying to find the things that you can change and address those to create better opportunities for yourself. That’s how winnin’ is done. Sooner or later, no matter how great your potential is, and regardless of whether you fulfilled it or not, time is going to catch up to you. Your time on Earth is limited. Make the best of every opportunity that comes your way. When that’s not possible, find ways of creating your own opportunities. Don’t wait around for time to take you out. Don’t let time pass you by. Alright, you made it this far. And I don’t know about you, but even reading about Rocky makes me want to workout. Well, we got something special for you. My boy, the Fitness Italian Stallion, Dominick Ponzio of ponzioperformance.com hooked us up with a workout inspired by Rocky’s training montages. Many of the movements are similar to what he did in his training, but only using body weight. Naturally, this workout is going to be tough (it is inspired by Rocky’s grueling workouts, after all). Dom also included some easier variations of some of the exercises, so it can work just as well no matter what your fitness level is. 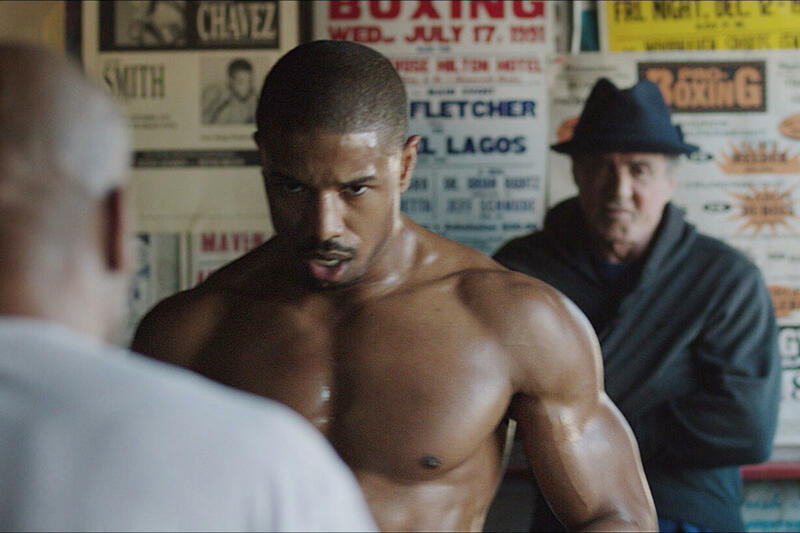 Load up “Eye of The Tiger” on your workout playlist and let’s get started. Rest 15 sec between each exercise, 30 to 45 sec after 1d, repeat twice more. Move from one exercise right to the next, resting 30-45 sec after 2d, repeat twice more. Move from one exercise right to the next, resting 30 sec after 3f, repeat twice more. -3 Rounds: 20s per combo/drill, no rest in between. Rest 30 sec at the end of the round, repeat twice more. To me, the Rocky franchise of movies was more than just mindless entertainment. It’s inspirational; every time that music hit or those fight scenes came up I still get excited to do something physical no matter how many times I’ve seen these movies. 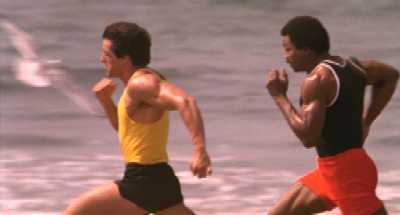 It’s aspirational; Rocky was a loser, a guy full of unfulfilled potential. He was the archetypal “everyman.” What separated him from everyone else was his heart; he gave every challenge his all and never gave up no matter how tough things got. Anyone could have been Rocky Balboa with the right attitude. The way that Sylvester Stallone should always be remembered. Sylvester Stallone and his fictional counterpart, Rocky Balboa, gave us four decades of entertainment and wisdom to build our bodies and our soul. And if I never get to meet you in person, this is my way of saying “thank you” for being a role model to me, and an inspiration to millions. Signup to get the next installement of our "Rocky: Keep Moving Forward" series delivered to you the moment it's released. Claudio Espinoza is a lover of all things 90’s, especially 90's hip-hop. 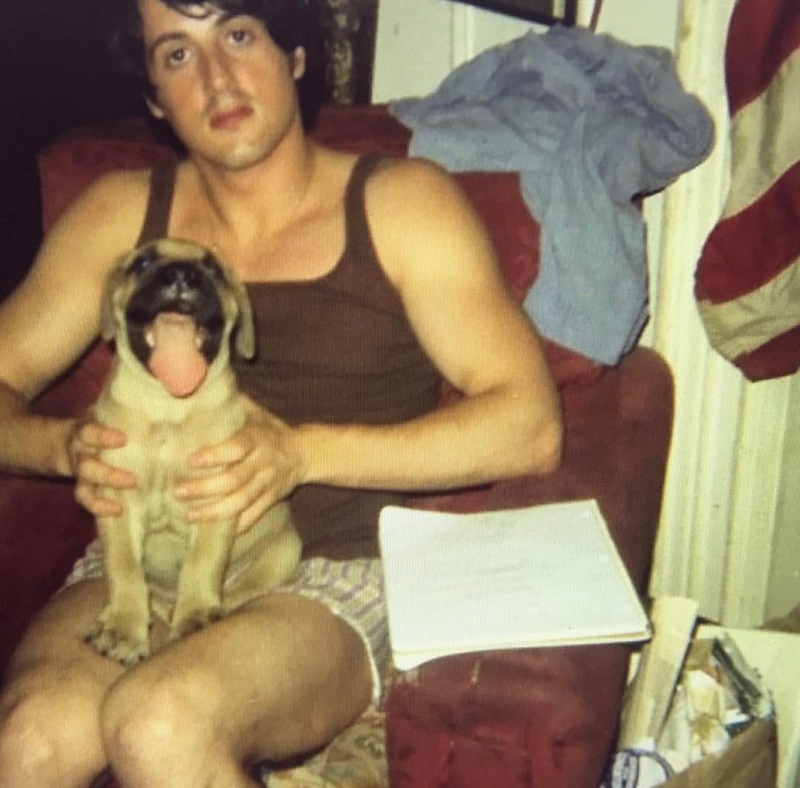 When not working at his corporate job, he picks things up and puts them down, goes for long romantic walks with his French bulldog, and helps kids who can’t read good and want to do other stuff good, too. Being the last article in the series and covering all the movies, I have to say without a doubt this is my favorite post yet. Great job encompassing everything these movies stand for, seriously an incredible write-up!